Patli Urbanocrats is going to start its new project for helping Senior Citizens "SEWAK"
When we talk about human, there is no immense different between a Child and an Elder person referring to their mental status. A elder person what he or she needs is/are nothings but a personal love, care and companionship care as as we do for a child. But now a days due to unsolvable work pressures for adults and due to many more problems make them unable to look after their elder ones. Due to some problems or barriers which stop adult people to take care of their elder ones, the problems may be the busy schedules, non-regular working hours or anything. The need for livelihood and growth opportunities has forced Indians to ventures outside their family. Nuclear families have added fodder to fire by reducing support to the elderly people at the time of need. Patli Urbanocrats understand these need of hour which demand a comprehensive service for these elderly citizens where they will have access to all Medical and Non- Medical assistance service with minimum effort and reasonable cost. 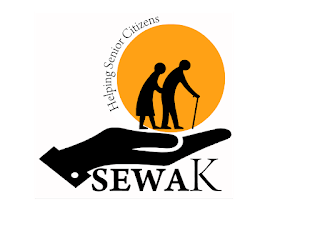 We bring a service for Senior Citizens to fill the gap between current generation and elders, and serve the guardians of our societies with name SEWAK. To know more you can visit the FB page www.facebook.com/Sewak.Assistance or can contact us through mail.